How You Can Benefit from Ductless Heating | Desert Suns Heating & Cooling Inc.
Winter in Albuquerque brings a lot of things with it—cold weather, warm clothes, and sometimes, the need to upgrade your heating system. 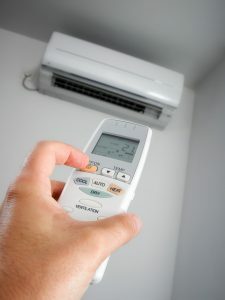 If you’re toying with the idea of replacing your current heating system or even supplementing the current heating system you have in your home, you should consider going ductless. Ductless heating is a great way to heat your home in winter. If you’re curious about the options for your home you can call our team. We have the best HVAC services in Los Lunas, NM. Is Ductless Heating Right for You? You’re in the process of constructing: If you’re constructing a new home and you want to get rid of the hassle, space, and efficiency concerns of ductwork, then a ductless mini split is the right option for you. This is the perfect time to integrate a ductless system into your home. You’re remodeling: If you’re remodeling your home and you’d like to add some supplemental heating or cooling to any of the rooms, this is a perfect time to go ductless. This is one of the best times to add on to modify your home’s HVAC system. You want to boost your IAQ: Want to boost the indoor air quality of your home? You might want to ease off of your ductwork. When you run your standard air conditioner or heater, all the air has to be pushed through a vent system and this vent system can become incredibly dirty over time. Ductless systems don’t have this issue because the air is pushed out directly from the air handler, which makes them ideal for households where people have respiratory issues. You’re choosing a tiny home: If you’re like many other residents here in New Mexico, you might be thinking about moving into a relatively small home or a classic adobe home. Equipping the house with a standard air conditioner might not be feasible. Ask a professional about going ductless. Does your downstairs space tend to run cold while your upstairs stays stuffy? This is where ductless heating comes in handy. When you need adaptable heating and cooling for your home, you can use ductless heating to your advantage. Because the placement of ductless heating systems is precise, it allows you to add supplementary heating or cooling to the spaces where you need it rather than blasting heat throughout your entire home desperately trying to get these areas up to par. This helps you waste less energy and therefore, less money. Make sure you consider ductless heating for your economical HVAC needs. Thinking about going ductless this winter? Then make sure that you contact Desert Suns Heating and Cooling Inc. today to schedule an appointment.